The Cora Top is a breezy, easy-to-wear staple that you won’t be able to sew just one of. Simple to make but with lots of fun details, it’s a quick, addictive sew with tonnes of satisfaction. Easily dressed up or down, Cora pairs beautifully with your smartest tailored trousers for work, as well as your comfiest jeans for a weekend at home. It can be worn tucked in or loose to suit your style. The Cora Top features a V-shaped neckline finished at the front with a unique (and quite magical!) pleat detail. The back also sports a pleat, which cleverly creates the appearance of a yoke, and keeps the shoulders that little more fitted. The grown-on sleeves are comfy and simple to sew, whilst the high-low hem is kept fun and interesting with shallow angled side slits. As well as the top version, Cora also comes with the option to be lengthened into a kaftan-style dress. There are no darts or gathers required for the Cora Top, which as well as making for a speedy project also means this pattern is ripe for bold, large-scale prints. 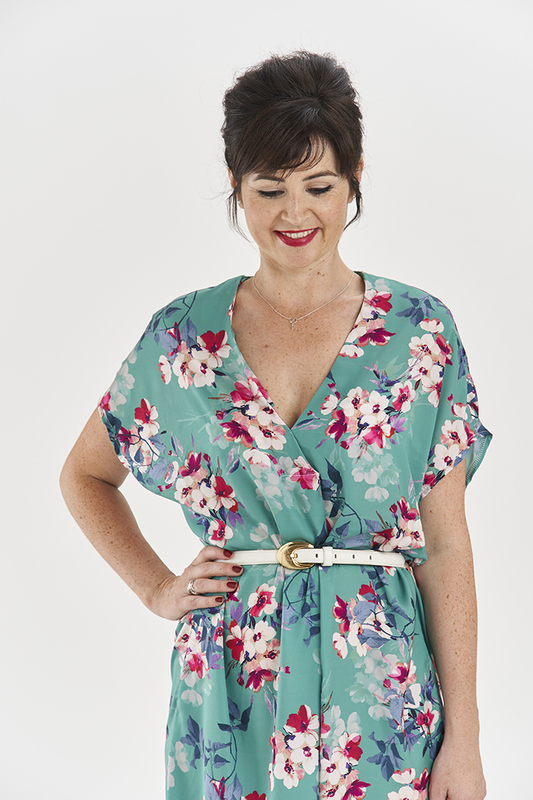 With just four pattern pieces it’s a fantastic evening project, and a great starting point pattern for anyone new to sewing with lightweight, drapey fabrics. Check out what other people have been making in the Cora Top Gallery. 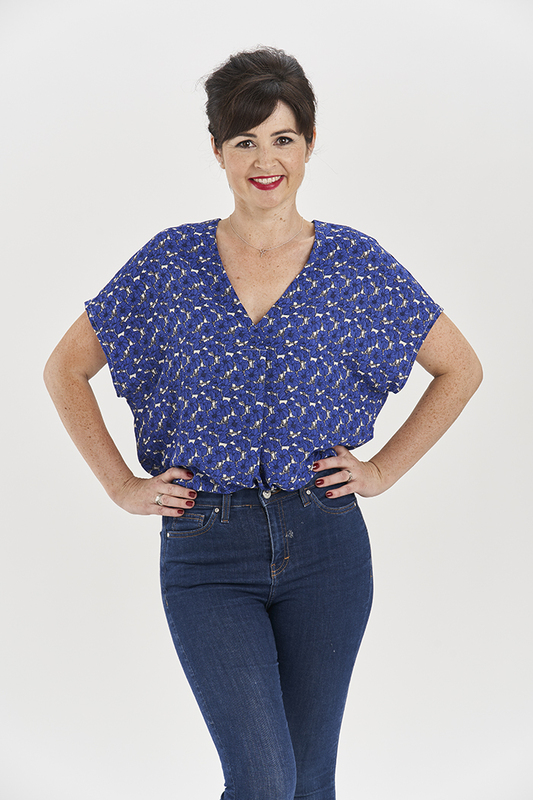 The Cora Top is an advanced beginner level sewing pattern. The Cora Top works best in lightweight woven fabrics with a good amount of drape. We recommend rayon or viscose and lightweight crepes for maximum drape, but you could also use a lightweight linen or cotton voile. For inspiration and to find the perfect fabric, have a look at our specially curated suggestions. 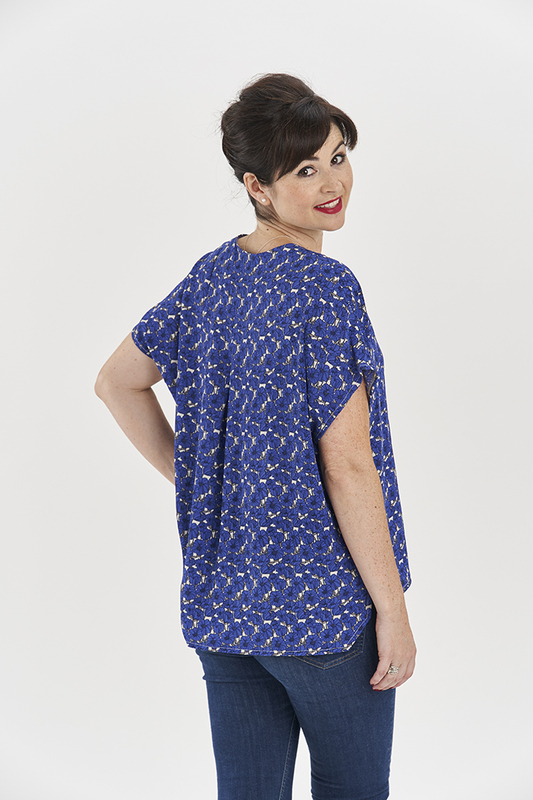 The Cora Top sewing pattern is sized between UK sizes 8-20. See the chart for details on fabric requirements. The Cora Top pattern is 30 pages long.